Liverpool Beatles Auction: Ringo and Paul signed items for Charity. We have two very lovely signed items going into this year's auction with their proceeds going to worthy causes. 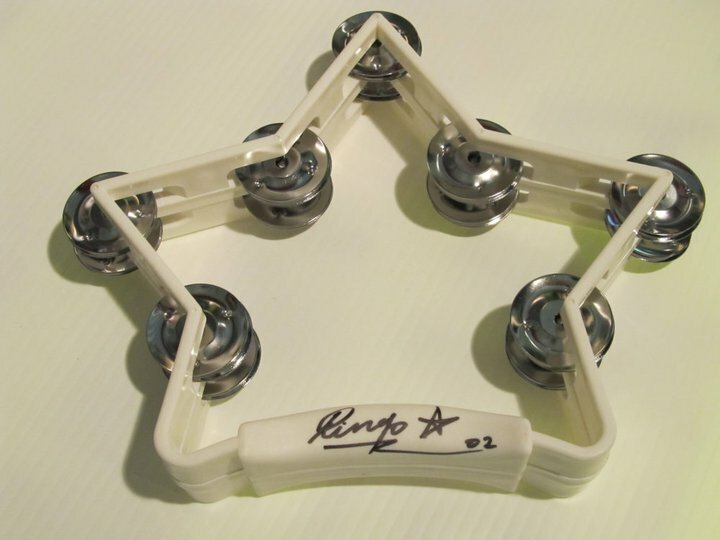 First of all this cool, white, star-shaped tambourine was signed by Ringo Starr in 2002. He signed with his first name and a star motif along with the year "02". The vendor is donating any proceeds from the sale of this tambourine to The British Heart Foundation. It carries an estimate of £200-£250. 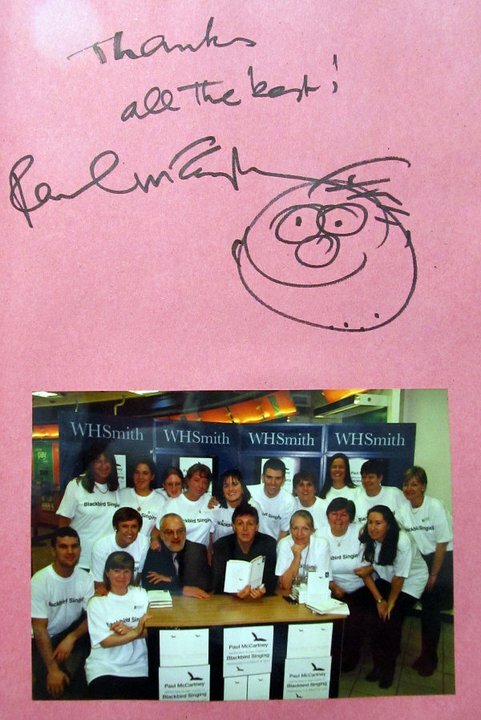 Also being sold for charity is a unique scrapbook documented Paul McCartney's appearance at WH Smiths in Liverpool to sign copies of his poetry book Blackbird Singing. The signing took place on March 21st 2001. 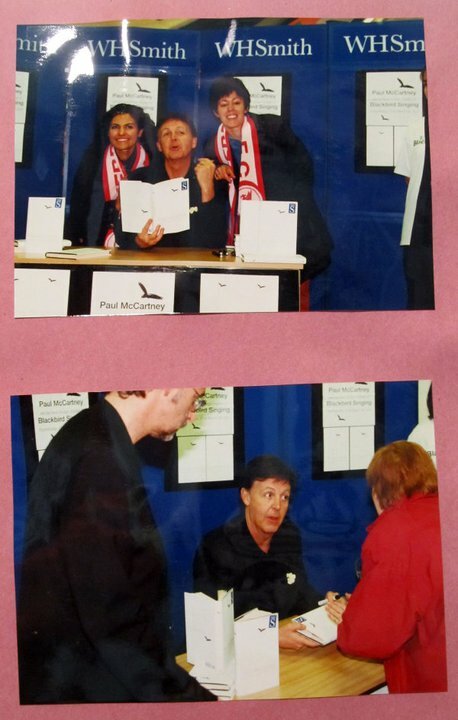 The scrapbook contains newspaper cuttings and photographs from the time as well as letters and faxes from customers before and after the event. Paul has signed one of the pages saying "Thanks" and added a large smiling face cartoon. The proceeds from the sale of this one off item will go to a local Liverpool charity (still to be decided upon) and it carries an estimate of £500-£600.